Dance with Christie is run by International professional dancer and instructor Christie Saunders. Christie’s has twenty years experience in the dance industry and is a sought after dance instructor. She has taught and choreographed all over the world and is thrilled to be able to offer these select classes in her home town of North Vancouver. To get in touch with Christie, email dancewithchristie@gmail.com. 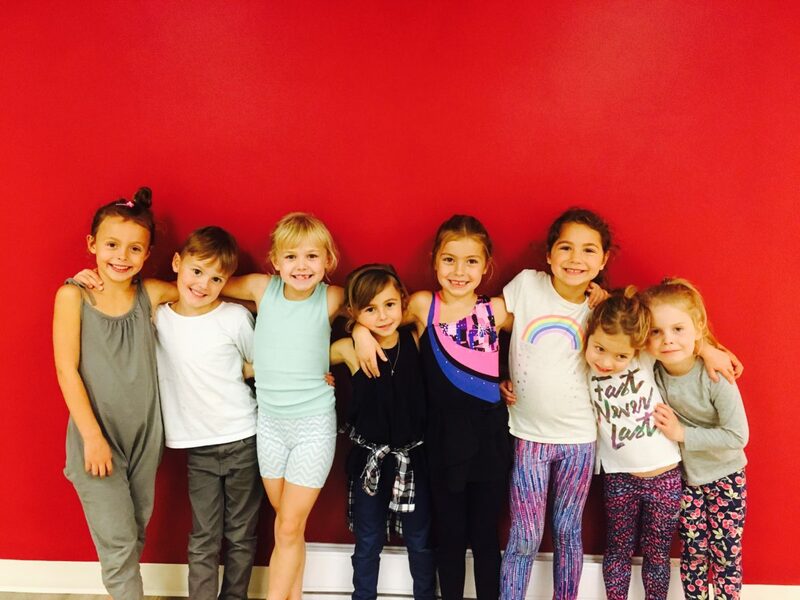 The Sampler class is to give little ones a taste of all the classes offered (Ballet, Jazz, Musical Theatre & Hip Hop). The ballet and jazz basics will be taught and fun routines in all styles will be learned. A minimum of 2 styles will be focused on in each class. Students will learn basic Jazz technique including jumps and turns as well as Hip Hop steps and style while learning to perform dance routines to fun upbeat music. At Musical Theatre Club (MTC) students will learn three disciplines: Singing, Drama and Dance. The class will explore classic and new musicals such as: Annie, Seussical the Musical, Frozen, Peter Pan, Grease, Wizard of Oz and Wicked. Students will learn to act out scenes, play drama games, as well as learn songs and dances. This class is specifically designed for young dancers wanting to improve their technique. Ballet Technique classes are the foundation for training and focus on developing a solid technique for ballet, jazz, and contemporary. This class will place emphasis on understanding correct body placement, proper use of turn out, coordination of the upper body, and use of arms. The classes will build strength and coordination. We will be learning correct ballet vocabulary and focusing on alignment. There will be an introduction to barre work to build strength and coordination. This class is based on RAD training and is good preparation or addition to RAD classes. This is a class for boys ONLY. No girls allowed! In this class we will learn hip hop steps and style to current upbeat music. We will have a demonstration for parents on the last day! Bryn is an Internationally certified dance teacher and looks forward to sharing her knowledge with her students! To get in touch with Bryn, email brynrasmussen@shaw.ca. Does your tiny tot love to strut their stuff and show off their moves around home? Bring them to Tiny Tot ‘Dance To The Music’ Class where they will have a room full of mirrors to do this in, as well as be guided through some more basic moves to add to their list of ‘go to grooves’. This class is sure to be a fun hour, and your little one will be taught the very basics of ballet and jazz technique as well as what it is like to be in a dance class. This class is an amazing confidence builder for tiny tots and Miss Bryn welcomes and encourages big imaginations! Come dance! Do you have a child dreaming about being in a dance class or maybe even of being on the hit TV show ‘So You Think You Can Dance?’ Come be a contestant for this set of dance classes inspired by the show! Both Mini and Junior dancers will be introduced to jazz, ballet, musical theatre, hip-hop, and more. All contestants will be winners with this fun and upbeat class! This class is designed for all levels, and Bryn will adjust material accordingly. Everyone welcome, from beginners to dancers with experience! Hip Hop is a one-hour long upbeat class focused on hip-hop fundamentals, grooving, and style. Participants can look forward to a fun, high-energy class with choreography to the newest music in town and plenty of opportunity to develop their own sense of style within their dancing. This class is sure to expand knowledge of dance moves, build confidence, as well as strengthen balance and coordination necessary for all sports.